Have you ever bought anything after reading a long sales letter on the Internet? Designed to create an impulse purchase, the most effective ones can create thousands of pounds worth of profit literally overnight. They sell a wide variety of items, from ebooks, CDs and DVDs, training materials, get rich quick plans, ways to combat health problems without medication and even books on mending a broken heart and how to win back your ex. Here are some pointers on the psychology behind the effectiveness of these letters – and how they make you part with your money! One of the fundamental elements of internet sales letters, whether they’re on a landing page of a website or emailed directly to you, is that they are written with very specific target audiences in mind. The rationale behind them is that by the time you click on the page, you are open to the idea of buying the product because it’s what you were searching for in the first place. For example, if you search for ‘cure for female baldness’ or ‘weight loss program’, ‘stop smoking naturally’ or ‘business marketing secrets’ you are likely to find a number of different websites. Some of these will appear on a results page organically (i.e. through the search engine process) while others will appear as sponsored pages (advertised). 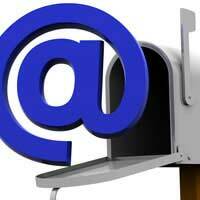 Most sales letters are found on pay per click or other internet advertising campaigns. Often the sales letter will have a very bold heading, usually – but not always – written in red text. It is a teaser statement, or a highly-provocative claim that entices the reader to continue down the page. Sometimes the claim will contain the word ‘secret’ or ‘reveal’ and include other powerful terms such as ‘achieve success’ or ‘the only way’ as though the product or information is exclusively contained within the product. You may notice that there are no distractions as you go down the page. There are no links to other pages, or any information that could take you away from the sales message. There will however be ‘breakout’ pieces of text, either in a different colour, or in a box, that are designed to stand out and contain facts, statistics, testimonials or other information that reaffirms the message. Then, at the bottom of the page, there may be a full and unequivocal money-back guarantee in the event that you are not satisfied with your purchase. This is to make you feel ‘safe’ about parting with your money, in order to entice you to buy it. However, the majority of people don’t usually ask for their money back. This is either because they have found the product or information useful, or simply through inertia. Although the products and services sold using these techniques vary enormously in their subject matter, usefulness and quality, the simple psychology behind the sales letter is to tell you what you want to hear. The next time you land on a sales page, it is useful to bear these points in mind. If you are able to read between the lines, you may be in a better position to evaluate whether or not the purchase will be of use to you.